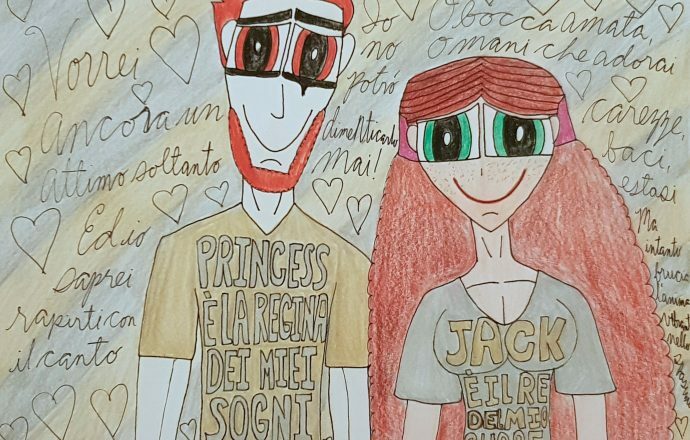 Amore mio, sapessi com’è amaro! e tremo, e spero, per non morir! mai più potrò amar così! The sweetest one of my heart. My love, if I knew how bitter it would be! and tremble and hope that I don’t die! Never again will I be able to love like that! Why, why did the love end? This piece of Prinack fanart is part of my dearest friend’s Kaitlyn’s aka KatyGorl’s Claim a PPG Pairing Month. Come se dice in italiano, vi piace amici miei. Here we have Jack Spicer and his darling wife Princess Morbucks-Spicer being the absolute lovebirds that they are. 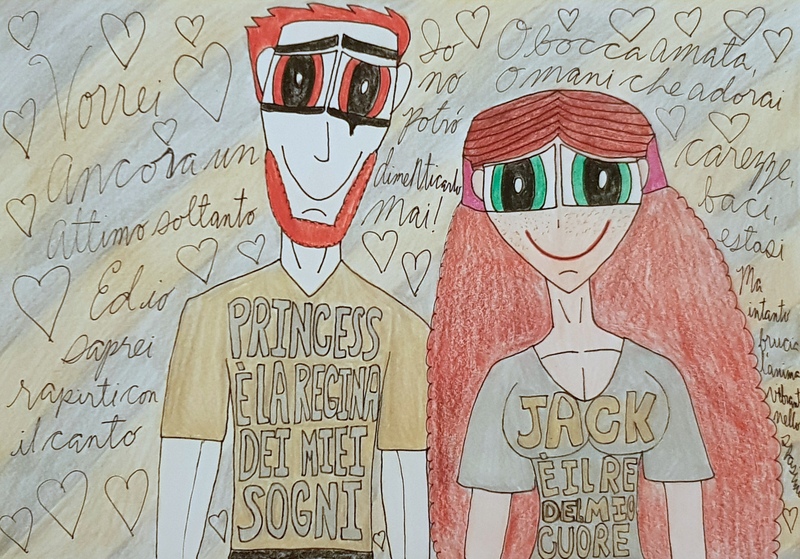 If you cannot tell what is transcribed on their shirts, well, Jack’s shirt is translated from its original Italian as “Princess is the queen of my dreams”, while Princess’s is “Jack is the king of my heart”. That is just how much these two tycoons fancy the pants off of each other and I am sure many a Prinack fan cannot have enough of this awesome goodness. Franz Liszt’s Liebestraum has been a childhood favorite of mine mostly because of the gorgeous melodies, tone, feel and how this particular piece of music manages to sweep me off my feet. When it put into to song, especially done by the ever fine Signore Andrea Bocelli, it is an experience that is so worthwhile. So, I give you all Signore Bocelli’s rendition of Sogno D’Amore from his 2002 album Sentimento. Vi piace con ascoltare. I hope you all enjoyed this song as you gaze into the loveliness that is Prinack. See you all in the next submission.